A long time ago now I felt compelled to make a change from working in the UK photo-editorial world and make use of my skills to tell stories that I hope will make a positive difference in people’s lives. I do that with SIM. 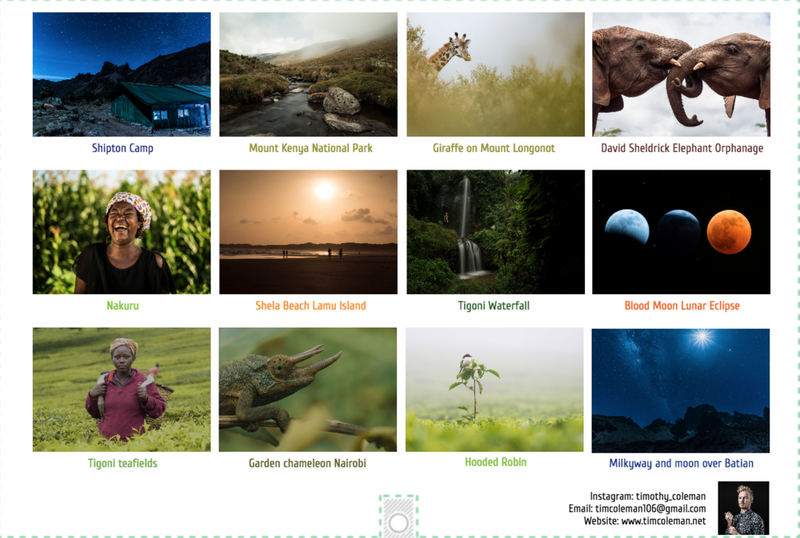 I mainly shoot videos, photos and write stories for SIM in East Africa. SIM is a Christian not-for-profit based all over the world. It’s heartbeat is for people to be reached with the gospel and that looks different in every context. SIM has life-changing projects in all key development areas; education, healthcare, agriculture and so on. Sometimes ministries are outright evangelism. It is my privilege as a story teller to serve these guys doing the work. I visit the people and active projects, see lives being changed, and work out how to tell these stories. SIM folks are servant-hearted, giving up the familiarity of their home context to become immersed in foreign cultures, all with the heart to serve the people where they go. 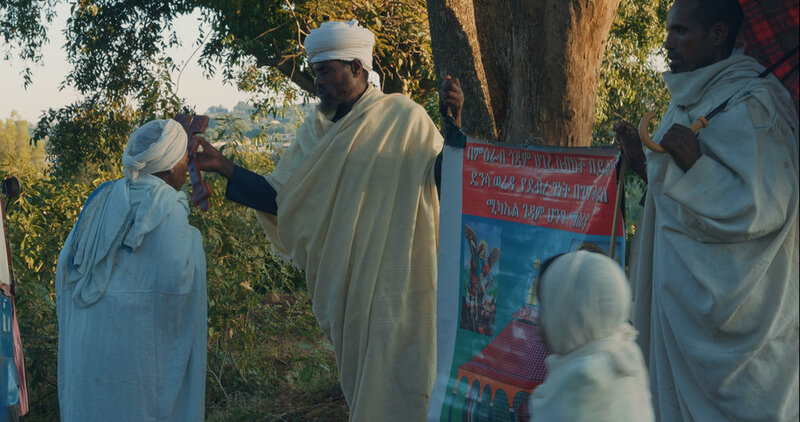 As an organisation, SIM works alongside the existing local church. It doesn’t move from country to country, sticking its flag in the ground. I massively respect that. As such, my job as a communicator is quite hard. Banging the drum for an organisation that has in the past consciously chosen not to bang its own drum. But these are stories that need to be told. Appolinarie, a mother of two and Rwandan refugee based in Nairobi, meditates in the smoke of burning paper - paper that had her traumas and unforgiveness listed. It’s a key time of personal freedom found during the trauma healing course run by SIM in Nairobi. Joseph, a former child soldier from South Sudan who now teaches the bible in refugee camps in Kenya. Appolinarie, a refugee in Kenya from Ruanda who leads trauma healing workshops for French-speaking refugees in Nairobi, having received the same help herself. Families affected by disability in Kenya, who have received the love, personal healing and support needed to have a chance of moving on in life. The schools in South Sudan conflict zones that keep getting destroyed, but pick themselves back up again. And again. And again. The. Stories. Go. On. And. On. These are the stories that I have been able to share from East Africa. And what of sharing them? It is my firm conviction that the stories - be it image or text - should challenge perceptions and compel people to act. It is my greatest satisfaction to know that I story I have created could call the global church into action; to pray, to advocate, to join, to give financially. That is what SIM Stories is. And that is what motivates me. So please, check existing stories and if one affects you, please act. People’s lives depend on it. 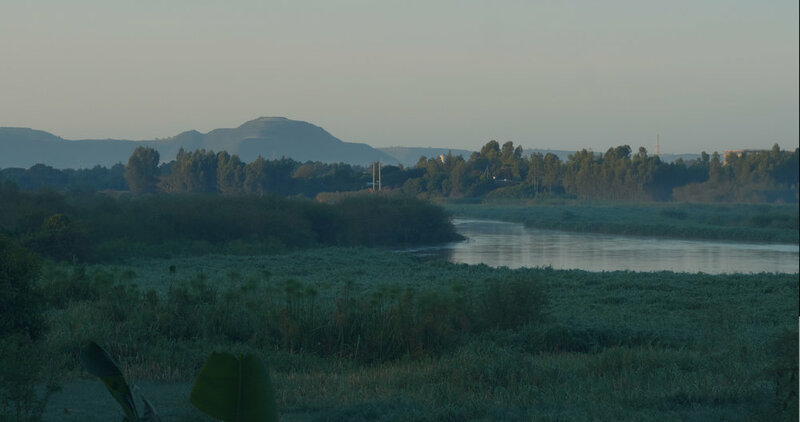 At the end of 2018 I had my first real visit to Ethiopia, traveling to three areas in the northern region; Mekelle, Bahir Dar and Injibara. I’ve come back with a large workload and the video edits of three different projects will take some time. In the meantime, here are a collection of (unedited) pictures, which are still images taken from the video files. Being with people that lived in-country and spoke the language did open doors to get a glimpse of every day life in each region I visited. But being a tourist is OK too. 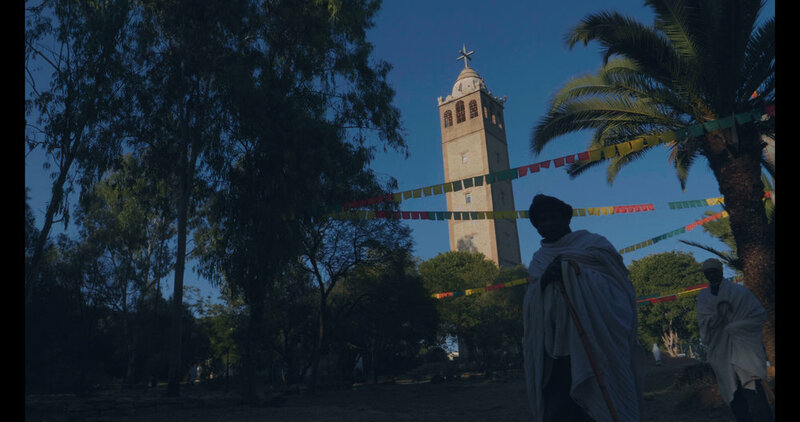 We visited family homes, saw coffee and injera being made (and enjoyed the end results! ), got a real look into the Orthodox church, agricultural practices and started to get a picture of the people through their own eyes. 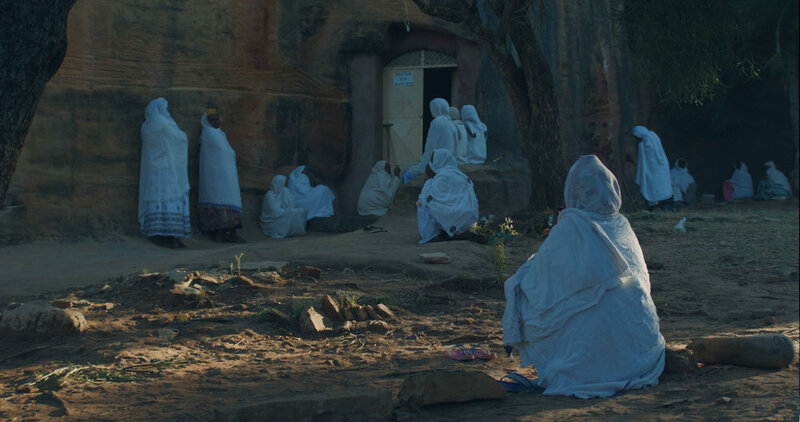 Attending a funeral in Injibara was truly memorable - the Awi people have such intriguing tradition at such a time. Right now I am in the hard slog phase of video editing and I would love to be out shooting again. But, I believe the videos will be something that offers insight to what is a wonderful, communal culture. In Nairobi, SIM has a growing ‘Banda Health’ team whose main activity is continually developing a low-cost, low-fuss software solution for small clinics, called Banda Go. I joined the team last year on a visit to one of the first adopters of the software, Ebenezer Medical Care clinic. I’m no medic, but it didn’t take too long for me to get a picture of what is possible with Banda Go. This solution really can transform the efficiency of small clinics who deliver healthcare to low-resource communities. It’s a vital work. Do check out the Banda Health website and support in whichever way you can. Since this visit, the software has made a home in numerous clinics across Kenya and is expanding internationally. Exciting times. 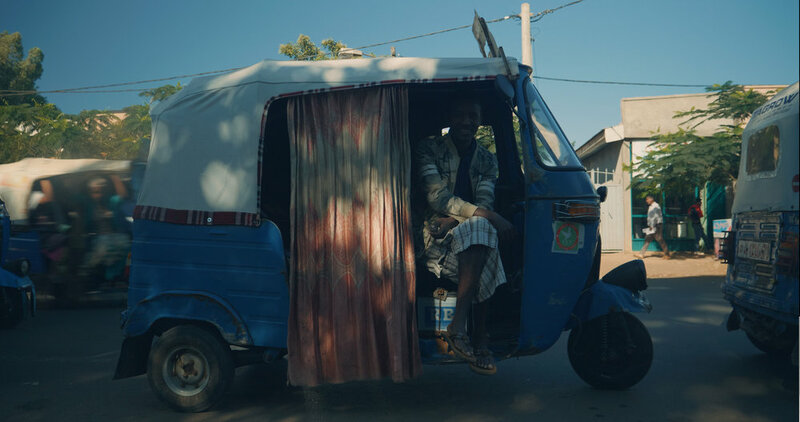 In what is the largest solo video edit I have undertaken, Reaching out to the Hidden and Forgotten (above) follows the story of three families living with the burden of disability in Kenya. The teaser that was shared prior (below) highlights some of the lies that communities speak into the lives of families coping with disability. It was an exceptionally difficult first visit to the homes of these families. One home the child was locked inside the house alone. Another child sat on the floor outside. Sports Friends, which is a ministry of SIM, is currently working with the local church to reach out to these families and provide them with the support (and healing) that they need. Having spent time with the families on a few occasions, I am encouraged by the transformation in their lives. I hope the video, hard hitting at first, encourages you too. 2018 was the first year for a while that I did not make a calendar. Plenty of folks asked about it which felt kinda nice and made me determined to make a calendar for the following year. Well, it’s that time and I have received delivery of the 2019 Calendar! 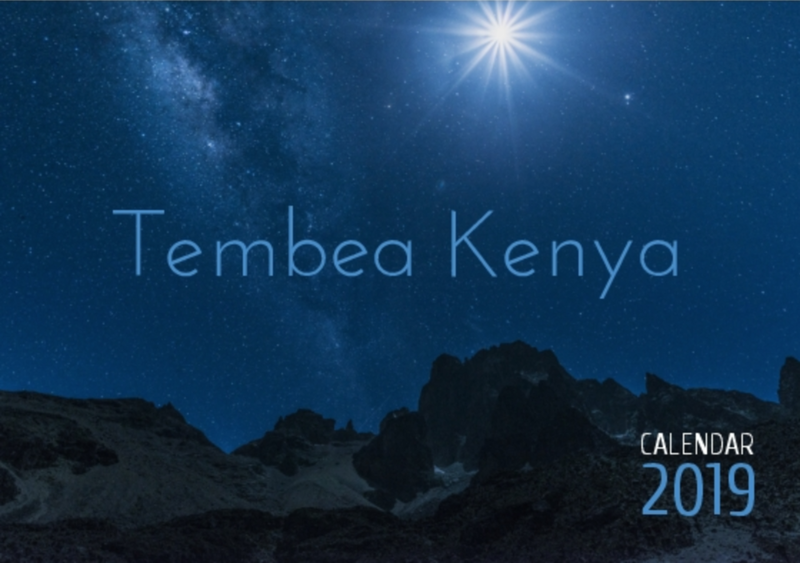 Tembea Kenya 2019 is an A3 wall calendar (when open) and features stunning pictures of Kenya’s landscapes, wildlife and people - all taken this year. What's better is that all proceeds go towards supporting our family as we continue to volunteer with SIM in Kenya. So go ahead, reach out to me and we can organise getting a calendar to you! Between my last blog post - a review of the excellent DxO PhotoLab software - and now, I returned to Kenya with the family. I have re-transitioned (that’s officially a word) from UK photo press to image maker and storyteller for the faith-based charity SIM. It was time again to put the kit to good use! SIM Stories, developing that eye and technique for video, pictures of places and people - look out for new blog posts about it all from this point forward! For those interested in the kit, the new videos I will share with you have been shot using the Panasonic Lumix GH5 - a camera that I picked up a few days before flying to Kenya. In East Africa I make more videos than I do photos. The Nikon D800 isn’t quite geared for that. Put the GH5 and D800 in the kit bag together and that’s both covered, with each camera having a set purpose - happy days. Having delayed for so long because strictly speaking I didn’t ‘need’ it, I finally took the plunge on a full-frame wide-angle lens for all those luscious landscapes I shoot with the D800. I no longer use the 12-24mm f/4 crop-format (DX) lens for landscape photography on that full-frame body, but a shiny new 20mm f/1.8 G (FX) lens. This lens ticked all the boxes for me: focal length, price, size, filter thread, maximum aperture. Lastly, I also purchased a micro-four-thirds to Nikon manual lens adaptor, in order to access all the Nikon glass I have for use with the GH5. What has been a pleasant surprise is just how great a pairing the GH5 and 20mm f/1.8 lens is for video. With a 2x crop factor, that’s a 40mm f/1.8 lens that is very sharp and offers great control over depth of field, albeit without stabilisation or AF. I’ve had a little fun with the Nikon 70-200mm f/2.8 lens on the GH5 via the adaptor too - that’s a 400mm equivalent maximum reach. The only new glass I need to consider in the future for the GH5 is that which would give me AF and stabilisation. The just announced Panasonic 10-25mm f/1.7 lens certainly has caught the eye and has jumped to the top of the wishlist. All in all, I feel smug about how significantly I’ve improved the kit bag for video and for landscape photography, with what was a relatively modest outlay. 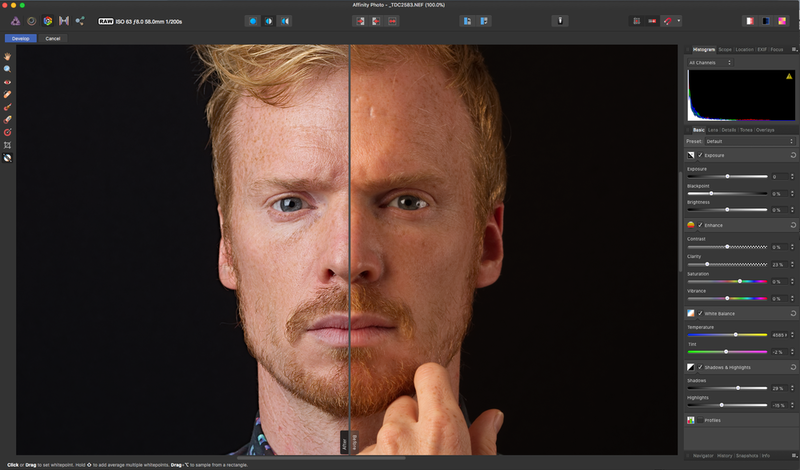 DxO has rebranded it's RAW image editing software from DxO Optics Pro to DxO PhotoLab. Prior to my full review of DxO PhotoLab I was completely new to it. I had heard many vouching for its RAW image editing quality over competitors such as Adobe Lightroom. Creating images with excellent sharpness, low noise and wide tonal range is supposedly straightforward, thanks to the prowess of its RAW processing engine. In this latest version, a big new feature has been added - local image adjustments. It is now possible to make edits to selected areas within an image. So now you don’t need to go through the hassle of making general RAW edits to an image in the DxO software, only to then reopen it in different software in order to make localised adjustments. These are encouraging steps in the right direction for DxO. DxO PhotoLab starts at £99 and is available on the DxO website, though the Pro version is £159. So what did I think of the software? Well, if your chief concern is the final quality of individual RAW image files, then you will struggle to beat DxO PhotoLab. It’s library of camera and lens profiles is perhaps the most comprehensive around and gives consistently excellent end results. DxO PhotoLab pretty much does the basic RAW image adjustments job for you. On first opening images, those automatic edits are often bang on and I’ve quickly seen why many users swear by the predecessor, DxO Optics Pro. I’ve pixel peeped to check the automatic Lens Sharpening, Noise Reduction, Smart Lighting, Colour and Contrast adjustments and are really happy with the results. The new PRIME 2016 Denoise tool goes one step further than the existing noise reduction tool. As for local adjustments, you wouldn’t know this is the first time that the tool has featured, it is right at home in DxO PhotoLab. The Auto Mask tool is highly intelligent and a big time saver, while other local adjustments offer all the features you might hope for. The software handles really well too. I love the layout of the Organize and Customize screens, especially tools like the Split Preview. There are are a couple of downsides. It takes a little more time to work your way around the Customize window and it’s confusing to have the same tools in multiple sub menus (though this can be changed). The biggest downside is the slow pace of image exports. On the flip side, the overall editing part feels a little quicker than most. All in all, DxO PhotoLab is very much a viable alternative to Adobe Lightroom and since reviewing the product I have started to use it for my image editing. For someone that has tried most photo editing software around, that says a lot. Check out my in-depth review here. The Sony a7R III succeeds the a7R II, which is one of the best high-resolution full-frame cameras around. In one regard the a7R III does not feature any headline-grabbing improvements. Yet, what is does do, and do it very well, is bring in a multitude of refinements that create the most useable Sony a7 to date. It’s a great all-rounder, with high-resolution AND high-speed AND excellent handling. On first impressions, the a7R III does for the mirrorless camera world what the Nikon D850 has done for the DSLR world: create the most competent all-rounder for professionals. Where the a7R III really shines over its predecessor is in its overall handling and operational speed. Handling wise, we have really enjoyed the EVF with its improved resolution and refresh rate, the AF joystick for quick AF point adjustments, the superior battery life and twin card slots. Performance wise, burst shooting, image processing, AF speed and accuracy all appear to be vastly quicker. In the image quality department, there are tweaks. The a7R III offers fractional image quality improvements over the hard-to-beat a7R II - not in resolution but in dynamic range. Again, video recording is much the same, which is no bad thing - after all Sony is one of the innovators in this field. I've been really impressed by Sony’s latest round of mirrorless cameras. The a9, a6500, RX10 IV and now the a7R III. Sony cameras often promise more than they deliver in real life. However, now those impressive specifications are increasingly backed up by an equally impressive real-life performance. The Sony a7R III is not a camera that disappoints, but one that lives up to the very high bar that Sony sets for it. It is the epitome of competence, whatever your genre of photography. Only the more demanding sports and wildlife photographers will need the a9, while landscape and studio photographers will struggle to find a better full-frame camera. Check out my in-depth hands-on of the Sony a7R III here where I had extended time using the camera in action scenarios. I had a wonderful opportunity to use the Sony a9 in the London Aquatics Centre to really test the camera in action scenarios. It is one heck of a machine. The Sony a9 is the most expensive Sony Alpha camera now and goes up against the well established Canon EOS 1D X II and Nikon D5 - cameras that have monopolised the market for professional sports, wildlife and wedding photographers. Considering the a9 is Sony’s first attempt at a camera designed for pro action photography, it is a firm success. Using this speed demon for sports is pretty much cheating - it’ll get you those money shots quickly enough. In full flow, the 20fps with no live view black out, phase detection AF that covers virtually the whole frame and a generally reliable Lock-On tracking AF are quite simply addictive. To back up this class-leading performance, Sony also has one of the best lens lineups for sports and wildlife photography. The a9’s form factor is too small for the sort of use it’ll get and the button layout is a bit cramped. Yet, buying an additional battery grip for use with longer lenses and removing it for use with short lenses really is the best of both worlds. Image quality wise the a9 delivers exactly what I'd hope for - it’s a camera that is able to make great images in both sunlight and in low light, though it really excels when the conditions are tough. Merited on performance alone, the Nikon D5 and Canon EOS 1D X II have a fight on their hands. The Sony a9 is here in all its electronic technological glory and is the camera on the very top of my wishlist. Check out my more in-depth hands on with the Sony a9 over at Pocket Lint. Sony RX0 review: In a category of its own, just who is this tiny and powerful camera for? Pick up the Sony RX0 and you'd be forgiven for thinking this a straight up action camera. In one sense it is, but in another sense the RX0 is in its own category, which makes it very difficult to judge. Part action camera, part compact camera, part multi-camera rig/ B-Roll/ C-Roll/ drone camera. Think of the RX0 like a Sony Cyber-Shot RX100, in the shell of an action camera with microphone port. To an extent, the sum of these many parts falls short. For each of these purposes, there are downsides - the pitfall of a camera that could work for many purposes but is not designed to. It's like a teaser. An expensive teaser at that - you'll get two GoPro Hero 6's for the price of one RX0. For instance, let's consider the Sony RX0 for action photographers. They will love the tough build quality that is fully waterproof/ shockproof/ crushproof and the protective screen that water glides right off. Yet they will find the minimum focus distance of 0.5m and more limited field of view of the 24mm lens very restricting for shooting in tight spaces. Then there is the ommission of image stabilisation - no run-and-gun or bumpy action then without additional stabilisation. The 1.5in LCD screen without touch function is poor too - you'll struggle to see it at all in bright daylight. Also, battery life could be better. This is a camera that needs refining. On the flipside, a camera this size has no right to have such an incredible feature set and image quality. It's sensor is 4x larger than other action cameras and the sharp 24mm f/4 lens shows virtually no distortion. In short, you get superior image quality for still images in any condition and especially so in low light. No other action camera comes close. This is complemented by a 16fps burst mode and up to 1,000fps slow motion recording. Add to that a tough build quality with no need for housing, plus connectivity options including to an external mic and control via a smart device, with the ability to remotely control up to 5 RX0's simultaneously and to pair even more. So what do I think of the Sony RX0 then? This is a camera that delights and confounds in equal measures. I'm still not really sure who it is for. However, I anticipate that many reading this will know better than me. It's those people for whose purpose the RX0 is suited to that will wax lyrical about it. It's those people that would struggle to find a better pocket camera. For others, I recommend renting this £800 camera first to see what it can (and cannot do). What is this now, a 2:1 macro lens? I hadn't come across such a lens before until I was asked to review the Laowa 60mm f/2.8 2:1 Ultra Macro lens. It was a test I gladly accepted because I love reviews with a difference. I've used other 60mm macro lenses before and each one doubles up nicely as a portrait lens or even used for landscapes. Yet, in this case the Laowa 60mm f/2.8 2:1 Ultra Macro lens feels more specialist for the macro genre. It’s manual focus only which makes it inherently more difficult to use for moving subjects. Then there is severe vignetting in landscape images when using full-frame. With the lens around the same price as other autofocus versions, a lot hangs on its USP feature of a 2:1 maximum magnification. When all the conditions are there to make the most out of this feature, it is possible to capture the macro world to a wondrous scale. This is a lens that is quite difficult to use for its intended purposes and even more so for additional purposes such as portraiture. Image quality wise, I have been disappointed with how visible pincushion distortion is and the lens is not the sharpest I have seen of its kind. In it’s favour, out-of-focus areas are rendered beautifully, thanks to the 14-blade aperture. I do not know of a more complex aperture diaphragm for a lens of this kind and the results are lovely. All being said, the Laowa 60mm f/2.8 2:1 Ultra Macro lens is packed with character and I have really enjoyed testing the lens. I love a good challenge and the lens has certainly given me that. The lens is solid and durable and I'm happy with the images that I have (eventually) been able to create with it. For the full review, head over to Photography Blog. Quirky lens specialists Laowa has outdone itself with the Laowa 15mm f/4 1:1 macro lens. Not only does it feature the widest focal length for a macro lens, but you get perspective control chucked in for good measure. For some users - thinking Pentax K mount and Sony A/ E/ FE mount, there really is no other option. For others, like Canon and Nikon users, this lens by far represents the best value for money. All these features are packed into a solid and compact form, with the lens measuring a mere 82mm in length. For me the lens is a little too compact because it can be quite fiddly to operate. That click-less aperture ring is all too easy to shift out of place, the shift mechanism is clumsy and the markings on the barrel are too small to read clearly without a closer look. Also, I'm not 100% convinced of the effectiveness of both the macro and perspective control features. It is possible to create unusual looking images with both of these features. However, it is hard to light your macro subjects because of the close working distances. Also, because of barrel distortion, perspective control is not entirely appropriate for those that need clinically correct images of architecture. As a straight-up ultra-wide angle lens, the Laowa 15mm f/4 is able to create very sharp images, with only a little fall-off in sharpness in the corners. I’d be happy to use this lens for wide-angle landscape images without even exploring the macro and perspective control world. The Laowa 15mm f/4 1:1 macro lens has been particularly enjoyable to test. It’s a unique lens that breaks convention, is packed with character, and offers plenty of creative opportunities. Ironically though, perhaps where it works best is as a conventional ultra-wide angle lens. You’ll probably know Serif more for its Windows-based editing software PhotoPlus X, but more recently Serif delved into Mac with Affinity Photo, creating what I think is a legitimate alternative to Adobe Photoshop. In a relatively short space of time the software is now its sixth iteration, with version 1.6 launched earlier this month. Compatibility with the latest raw files is added regularly. The software has also been developed for iPad and for Windows too. What is even more impressive is that the software costs a bargain one-off fee under £50. Not a subscription service in sight. That price is less than half the price of a year subscription to Adobe Photoshop CC and Lightroom CC. For those that have bought an older version of Affinity Photo, the latest one comes free. Free upgrades were meant to be a plus point for subscription services, so hats off to Serif for looking after existing users at no extra cost. Being low cost is all very well, but people will ask if Affinity Photo is any good. Well, I’ve been using the latest version (1.6) of the software since its launch and are happy to say that Adobe should start to sweat a little. When it comes to powerful photo editing software that is not chained to a subscription service, Serif Affinity Photo is up there with the best of them. Heck, you’d be hard-pressed to find something that Photoshop offers that you can’t find in Affinity Photo. Affinity Photo even looks like Photoshop. A switchover from one to the other is quite painless. The only real difference is that Affinity Photo has five workspaces called Personas, each with their own set of tools, while Photoshop has a single editing workspace and an accompanying raw editor. The missing link for Serif taking a bigger bite out of Adobe’s lion share is there is no cataloguing software, like Adobe Lightroom CC or Bridge CC. I’d happily pay another £50 should Serif launch such a software. You can see my full review over at Photography Blog and I would expect to see a few more Highly Recommended reviews of Affinity Photo v1.6 in the coming weeks. Here’s a quick rundown of why I like Serif Affinity Photo 1.6 so much. A one-off £48.99 is an absolute steal - with free upgrades. For more information and to purchase the software, which currently costs £48.99 if you don’t own it already, please visit the Serif website. In addition, Serif offers a companion graphic design software called Affinity Designer, which also costs £48.99. Handily, both programs share the same file format. A full list of features new to version 1.6 can be found on the Serif Affinity Photo website. Last month, Manfrotto added two new backdrop finishes to its range of panoramic backgrounds; Granite and Limestone. Both have a dynamic textured finish and complement the other three already in the range, which are Black, White and Chromakey Green. 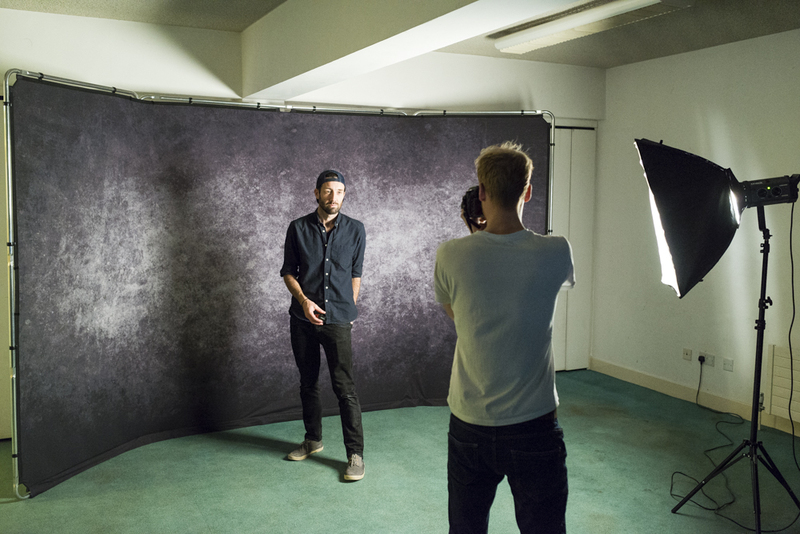 I’ve used a loads of studio backdrops down the years. Wall-mounted rolls or paper, crossbar with rolls of paper, pop-up domes, you name it. One consistent problem with many backdrops is one of a matter of size. 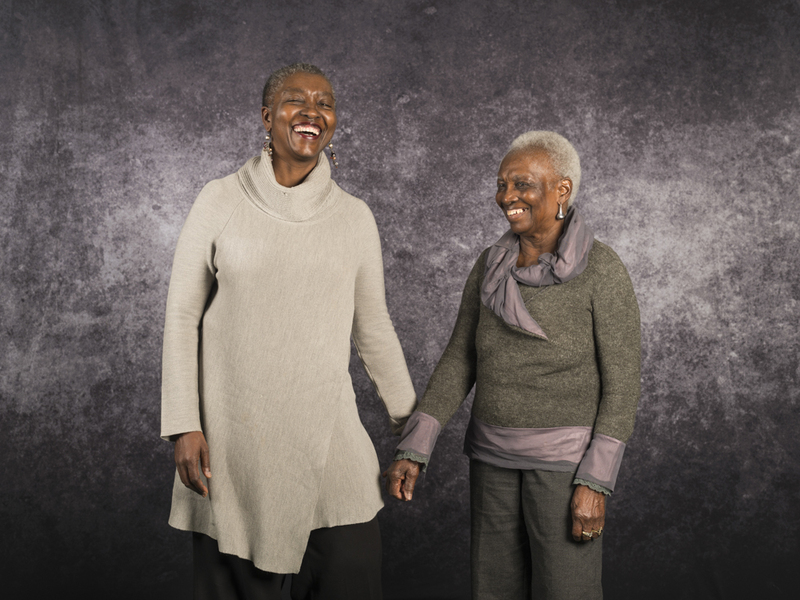 When you start working with medium-sized families or your subject is moving around, the backdrop may often not fully surround your subjects. Certainly, if you start sitting groups down or they are jumping around. If the backdrop doesn’t fully cover the frame once the picture is cropped to size, it is a very time consuming process to properly edit those uncovered areas to match the rest of the backdrop. Size is the champion feature of the Lastolite by Manfrotto Panoramic Background 4m Granite. It’s positively humungous. A standard crossbar with paper roll is less than 3m wide. A pop-up dome might be 2m wide. The panoramic background is 4m wide and it’s approaching 8ft tall. After a full day shooting family portraits, I have not had to edit out any gaps in the background post capture, unlike with my 2m pop-up dome. I estimate in this job alone that the Lastolite by Manfrotto Panoramic Background has saved me a day's worth of editing. Its appeal is immediately clear. That said, without a floor covering as part of the package, you are restricted to upper body shots really. It will be possible to create solutions to cover the floor for full-length portraits, but not quite to the same quality as a roll of paper. 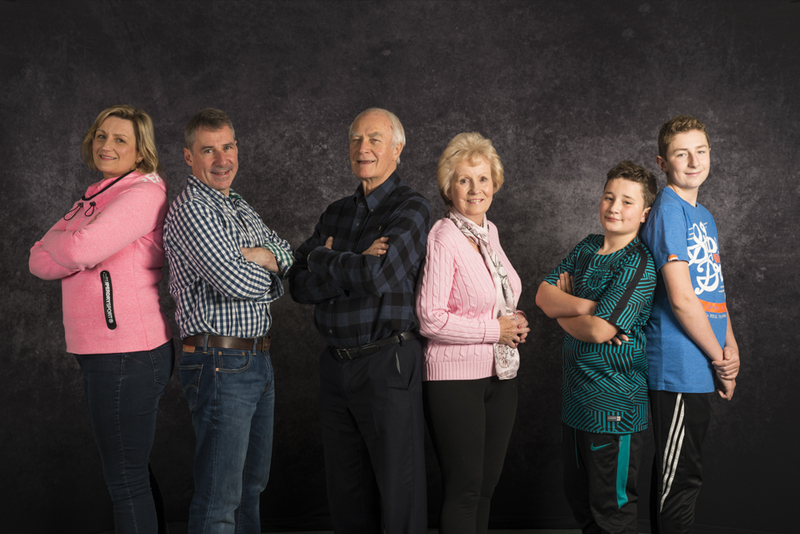 It may be a massive backdrop, but the Panoramic Background package is light and portable. It's a great solution for pop-up studios. 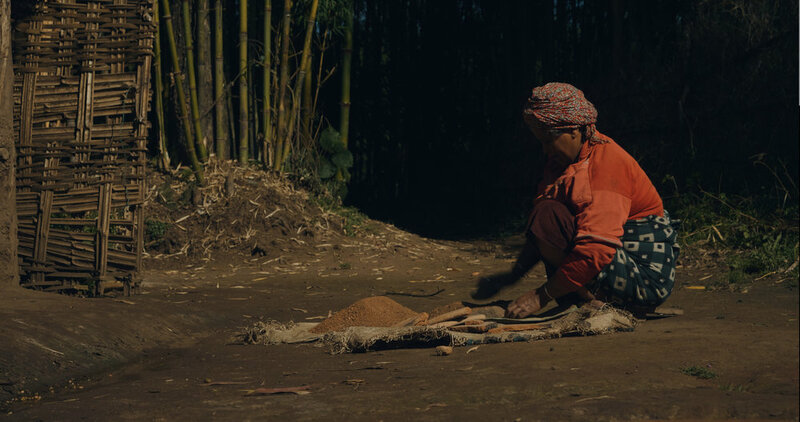 Three frames are pieced together much like tent poles, with an internal elastic rope keeping the pieces together when packed away. The frame seems solid enough, though I wouldn’t throw it around too much. It’s child’s play putting the frame together. Literally. I had my four-year-old do the job for me. Once the three frames are constructed, there are two fasteners for each side of the larger middle frame, to connect to the two smaller side frames. Next up is the background itself, which has plastic clips that easily attach onto the frame. When the background is fully connected, there is enough tension to stretch the material out and remove any creases in the fabric. Even on a first time use, the background takes less than 10 minutes to construct and ready to go. Taking the background down is equally easy and even quicker. This is one easy to use background. Like with any portable backdrop, when outdoors it is worth taking some kind of weight with you - like a sand bag - I could easily see the background being blown over. Strictly speaking, this is not a new product. The background design was launched by Manfrotto a little while back. However, up until now, there has only been Black, White and Chromakey Green options in the range. These latest two; Granite and Limestone, feature textured pattern finishes. I have used the Granite version and the resulting portraits look great. The finish is good, plus it has a vignette which helps the centre of the frame to stand out all the more. For something a little different to a plain background, the Granite version is in our opinion very striking. The Lastolite by Manfrotto Panoramic Background 4m Granite costs £305.95 for the background and £599.95 with the Panoramic Background frame. I don't mind the price because I know the time saved editing. However, that price is around £150 more than the existing plain versions, which I think is a little cheeky. More information can be found on the Lastolite by Manfrotto website. I've used a few superzoom cameras down the years. Also known as bridge cameras, their big selling point is the zoom range of the built-in lens that covers just about every eventuality. Macro, landscapes, telephoto wildlife and sports. You name it. However, in reality I've known superzooms as cameras with uninspiring image quality and unusable telephoto lens settings. This all changed with the Sony Cyber-Shot RX10 series and the fourth iteration Sony RX10 IV is hands down the best superzoom camera around. Asides from its predecessor and to some degree the Panasonic Lumix FZ2000, the RX10 IV is in a league of its own. What impresses me most is the lens. It's a 24-600mm f/2.4-4 unit with up to 4.5EV optical stabilization built-in. The image quality it produces across the focal range is nothing short of astounding. Coupled with the new on-chip 315-point phase detection autofocus, you get what for me is the most useable telephoto settings of a superzoom camera ever. I've been able to get sharp 20.1MP pictures at 600mm in low light. Remarkable. When using f/4 and f/5.6 apertures, detail is sharp from centre all the way to the corners, with only a fractional softness in the very edges. All lens distortions are handled very well - that's fringing, vignetting, barrel & pincushion distortion. And I'm talking about images taken at any focal length. Features wise there is the burst shooting mode which can sustain 24fps for around 10 seconds with full-time AF. Say whaaat? I haven't even touched on video yet. The 4k videos at 30fps and 100Mbps are really sharp, being taken from 1.7x oversampled footage. High Frame Rate (HFR) video modes offer slow-motion at 250, 500 and 1000fps. It's processing these files where I experienced the only lags - you'll have to wait anything up to a minute for a 1000fps sequence to finish processing and you can't use the camera during this time. All in all, I've been blown away by the Sony Cyber-Shot RX10 IV. Before I would see a superzoom camera giving me versatility over quality. In the RX10 IV you get both. Sure you pay for the pleasure. At £1,800, the Sony RX10 IV is more than 3x the price of its competitor and a good bit more than its predecessor. I never thought I'd see the day that a superzoom camera would cost £1,800. Yet I really do believe that the RX10 IV could prove to be all the camera you ever need and for that reason its price could be seen as good value. When new photographic technologies establish themselves, we often see supporting accessories emerge. 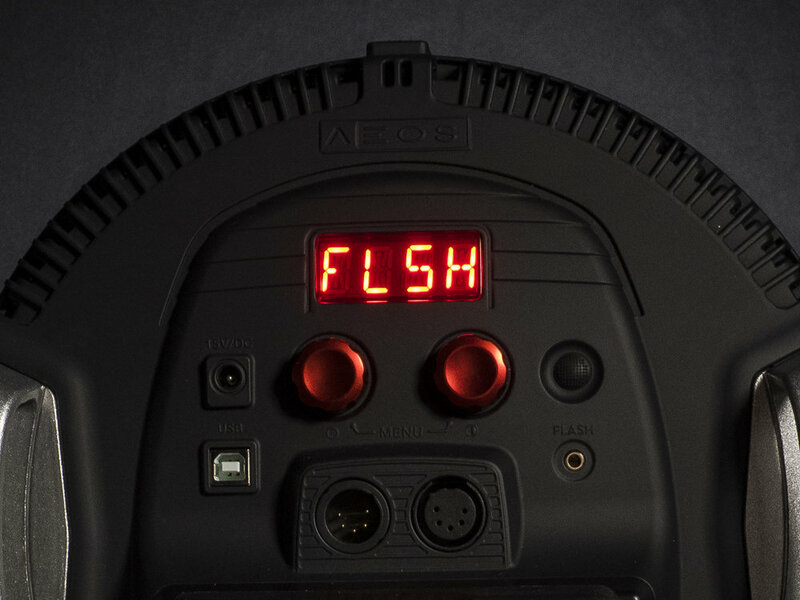 The Rotolight AEOS is a case in point, being a portable and professional-grade bi-colour LED light that also operates as a HSS flash unit. It makes total sense to create lights that perform both continuous and flash lighting, what with more and more cameras and therefore image makers shooting both professional photos and videos. The British LED lighting specialist Rotolight now has a well-established range of circular LED lights that aim to cater for both video and photography, with three models available. In the range is the recently launched Rotolight Anova Pro 2, which is the largest and most powerful. The Rotolight Neo 2 is the smallest with most modest output, while the Rotolight AEOS sits in the middle. The LED lights provide professional-grade colour accuracy with flicker-free output and an easily adjustable colour temperature to match the ambient light. Typically the flash feature provides a 250% boost in output of the maximum continuous LED output, with a 1/8000sec max sync speed and no recycle time. So, the Rotolight AEOS makes for great reading, but what is the reality? I found out when shooting portraits of a band that a couple of my friends are in. Rotolight supplied me with the AEOS kit, which contains two AEOS light panels, light stands, 4-piece filter set and a carry case, plus an additional Elinchrom Skyport HSS wireless transmitter, barn doors, yokes and V-mount batteries. I'd say that the V-mount batteries are an essential optional extra in order to make the most out of these lights for location work. It takes but a few of minutes to remove the panels from the case, mount them to stands and have them ready to go. Whether you are familiar with LED light panels or not, it doesn’t get much simpler. Each light panel weighs approximately 1.4kg. They can be mounted to a light stand or held by hand using the aluminium brackets. It is really easy to hold the light by hand and position it at all angles. Add the optional V-Mount battery and things get a little heavier. The battery is half the weight of the panel again, meaning the combination is above 2kg. On the back of the light one is faced with a basic control layout, including a small backlit LCD screen that by default displays the output of the light. It switches to display whatever control is being operated. Then there are two red knobs that control the power output and colour temperature. The dials are sensitive to rotation speed, so you can make quick and severe adjustments through to slow and precise. You get manual control over output, plus a colour temperature range of 3,150 to 6,300 kelvin. The maximum continuous light output is quoted at 5,750 lux at 3 feet. However, this is true when the light is set to a middle colour temperature of approximately 4,400 kelvin, where both bi-colour LEDs are at their brightest. Go to either extreme; 3,150k or 6,300k and the light output is notably reduced. Press both red knobs on the rear simultaneously and a menu is opened up where the flash feature can be accessed. Again there is manual control over output, but I expect most users will choose the flash to gain the 250% boosted output. Also, in that additional menu is the CinemaSFX effects, where the light panel can recreate lighting effects such as a flickering fire. 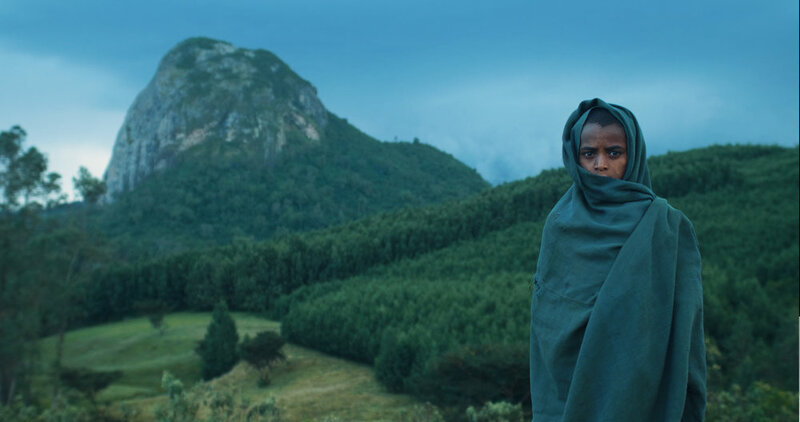 These novel features may grab the interest of aspiring filmmakers. The V-mount batteries that were used for this test are claimed to provide up to 3 hours of shooting time, which is plenty of time for a full shoot. Certainly, I didn’t come close to draining those batteries during any of the shoots that I used the batteries for. If these lights are going to be used on location, then the v-mount batteries are an essential optional extra. Of course the advantages to LED lights over tungsten bulb lights is that LEDs do not overheat in the same way. If you’re in a cramped environment, it’s a godsend. With the lights often positioned close to my subjects, I had no concern for them becoming uncomfortable by any heat emission. During the main shoot of the band I most regularly used the AEOS lights at the tungsten end of 3,150k in order to match the ambient light. As this setting the output is still reasonable with the panel positioned close to my subjects. To give you a small idea of the level of output, with the light set to 3,150k the camera exposure settings for the group shot of four people positioned around 5 feet from the light read as f/4, 1/200sec at ISO 800. This level of output is respectale for such a compact light panel. Also, the CRI 96 and TLCI 91 ratings are professional-grade, so no worries about off-colours there within the colour temeprature range of 3,150 to 6,300 kelvin. As for the flash feature, its output does not come close to a dedicated flashgun. On paper a 250% boost in output sounds great, but this is of the maximum continuous output of 5750 lux, which is a mere fraction of a studio flash. However, to its advantage, the flash does not have a recycle time so you can fire it repeatedly with no delay with a max flash sync speed is 1/8000sec. Take that, dedicated flash gun. To me, the flash is a nice added feature rather than a genuinely useful tool. I would usually use the lights in their continuous mode to illuminate my subjects. An AEOS light is best suited to image making when the ambient light is quite low, like a cloudy day, at nighttime or indoors. On a sunny day, the light is less useful. 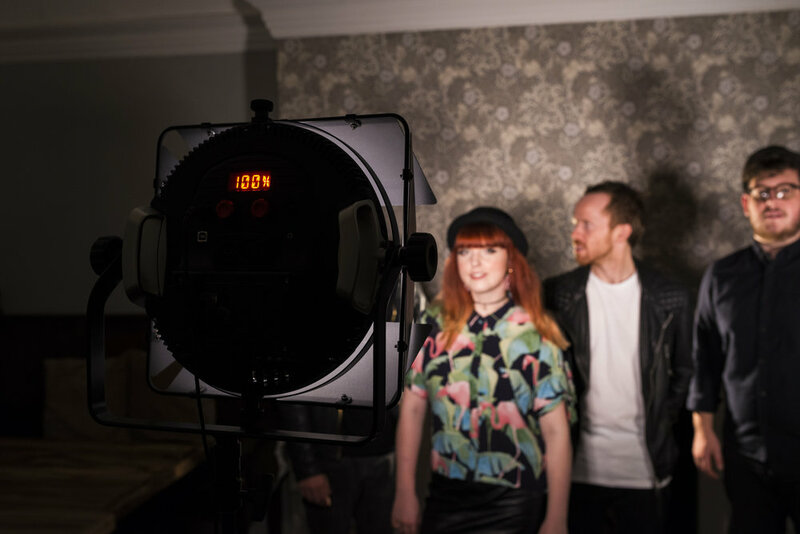 Over the course of the band shoot, a couple of the guys complained about the brightness of the light panel - it being too bright for them to look at. Indeed, they did get a little red-eyed. I could have added diffusers or reduced the light output. Also, I could have used the flash feature more, because when using flash the continuous output is dimmed between flashes. A final note on the lights. They are circular in shape which means you get a lovely circular catch light, that is not too dissimilar to a ring flash. Each Rotolight panel costs £749.99 ex VAT, plus there are plenty of optional extras such as V-mount batteries (£241.66 ex VAT each). Once you add up all these extras the setup is very expensive, but hey most LED lighting is. For more information about the Rotolight AEOS, which is also available as a two light kit with case and stands (£1583.33 ex VAT), please visit the Rotolight website. It’s a wonderful concept; a portable light that is at home in both the studio and on location, for both videos and photography. And to a large extent, the Rotolight AEOS works. In the hand, the unit is portable and light. You can take the light with you wherever you go and set it up really quickly and power them by mains supply or optional batteries. Where the Rotolight AEOS shines is as a continuous LED light. The colour reproduction is flawless, the cinemaSFX effects are a nice touch and the output is nice and bright for closeup subjects. The lights really come into their own in slightly dimmer conditions like indoors or outside during an overcast day. The 250% brighter flash output is a bonus feature, but is no way near the output of a dedicated flash unit. If the ambient light is already bright, you may struggle to see the benefit of the Rotolight AEOS. With three lights in the range at three different size/ output points, I think the AEOS strikes a good balance. It’s portable and for the best part, powerful. The light in itself is on the expensive side. When you factor in optional extras that are quite necessary to make the most out of the light for location work, then things get very expensive. V-Lock batteries, charger units, barn doors, yokes and so on all add up to a system that costs in the thousands. Price aside, the Rotolight AEOS is a user-friendly and versatile light with perfectly accurate output. Canon Powershot G1X III: THE alternative to DSLRs and mirrorless? I wonder just how many people that buy an interchangeable lens camera - be it DSLR or mirrorless - end up buying additional lenses after purchase. Chances are, many will stick with the kit lens and that will be that. No additional wide aperture fast prime lenses. Nope, just the one lens. For such a person (plus those that want a capable yet more compact camera), the Canon Powershot G1X III looks like the perfect alternative to DSLRs and mirrorless. It's the first camera with APS-C size sensor to feature an optical zoom lens. It's a much larger sensor than the one used in other Canon Powershot cameras. Therefore, you get the same image quality as most of Canon's DSLRs and mirrorless EOS-M cameras, with the versatility of a 24-72mm zoom lens engineered specifically for the camera. Yes, the G1X III is the new Powershot flagship model that sets the bar. What's really impressive is that Canon has squeezed this larger sensor into an even smaller body than the G1X II, plus crammed it full with the latest and greatest technologies. Unsurprisingly the Canon Powershot G1X III is not cheap. In fact, at £1,149 you might consider it expensive. Yet, if the zoom lens of the camera can cover your photography needs, then this tiny powerhouse of a camera will not disappoint. After a hands-on at the UK launch of the G1X III, I have no doubt in the capability of the camera. It's fantastic. Laowa is a dab hand at creating unusual lenses and the Laowa 105mm f/2 STF lens is a case in point. It's one of the very few lenses that features an apodisation element. The weighty metal lens features two diaphragms, one your regular f/stop aperture and another a T stop aperture (apodisation element) halfway up the barrel. In this case, the element is labelled Smooth Transition Focus (STF). STF creates images with extra smooth out-of-focus areas while keeping the area in focus particularly sharp. It is THE selling point of the lens and the results are wonderful. When using the T Stop aperture wide open, you get perfectly circular bokeh with next to no chromatic aberrations (fringing). It's impressive stuff and for the quality of images possible out of this lens, its RRP of £750 is very reasonable. But, and it's a big but, this is a manual focus lens only. I don't mind manual focus lenses, in fact I rather like taking manual control. But there are lens focal lengths and subjects that really benefit from autofocus and this is one of them. Throughout testing the lens my hit ratio of sharp shots was much lower than I would like. Even with the large Nikon D850 viewfinder at my disposal and live view focus magnification, it's exceptionally difficult to obtain pin sharp focusing on the eyes at f/2. In the end, I resorted to manual focus bracketing. Taking the same shot around 5 times in quick succession while making micro adjustments to focusing. That way I could ensure one of the shots was pin sharp on the eyes and discard the rest. One other downside is that lens flare is a bit of a problem. I like to shoot towards the light for backlit portraits. Yet, when doing this the chances of substantial lens flare are higher than normal - I got a few shots that were totally unusable. Otherwise, the image quality and control over lens distortion is top notch. All being said, I enjoyed the precision required of me to get images that I am happy with. I may have numerous slightly blurry images in the review gallery, but this lens has sharpened me up. Check out Photography Blog for the full review. Canon EOS M100 review: Do I really like it? Is it, is it wicked? It's a question that I still don't know the answer to. Do I really like the Canon EOS M100 or not? On the one hand yes. It's a tiny point-and-shoot interchangeable lens mashup of a camera. What I like the most is its inconspicuousness. With the diminutive EF-M 22mm f/2 lens attached, you're seeing what appears to be a compact camera. I could well see myself wandering around the informal settlements of Nairobi with this camera in hand. I'd probably get fewer people asking for payment for the images I create with them than I do when making pictures using an impressive looking DSLR. All the while knowing that the camera lens combination is capable of making sharp and vibrant images with great control over depth of field. Really, it's what a mirrorless camera should be, especially the Canon EOS M range. Small, light, subtle. Yet for all that promise, the handling of the camera frustrates in parts. Its metering and focusing are a little limited and truly there is not enough direct access to camera controls that I typically use. That said, I am a professional photographer, not the kind that the EOS M100 is aimed at. Really, the camera is designed to be put in its Scene Intelligent Auto mode and left to get on with the job. It does that very well indeed - you'll get lovely looking images straight out of the camera. But if you're new to photography, you won't learn much about it through using the EOS M100. There's very limited in-camera tuition or explanation about what each button or setting does. Plus if you think that the camera looks perfect for vlogging with its flip-up screen, think again because there is no external mic port. So really it's a camera that says Leave it to me, I've got this. If you're new to photography and just want great pictures without learning anything along the way, then go for the EOS M100. But if you want to develop your skills and knowledge, extend your search elsewhere. Check out the full review over at Pocket Lint.